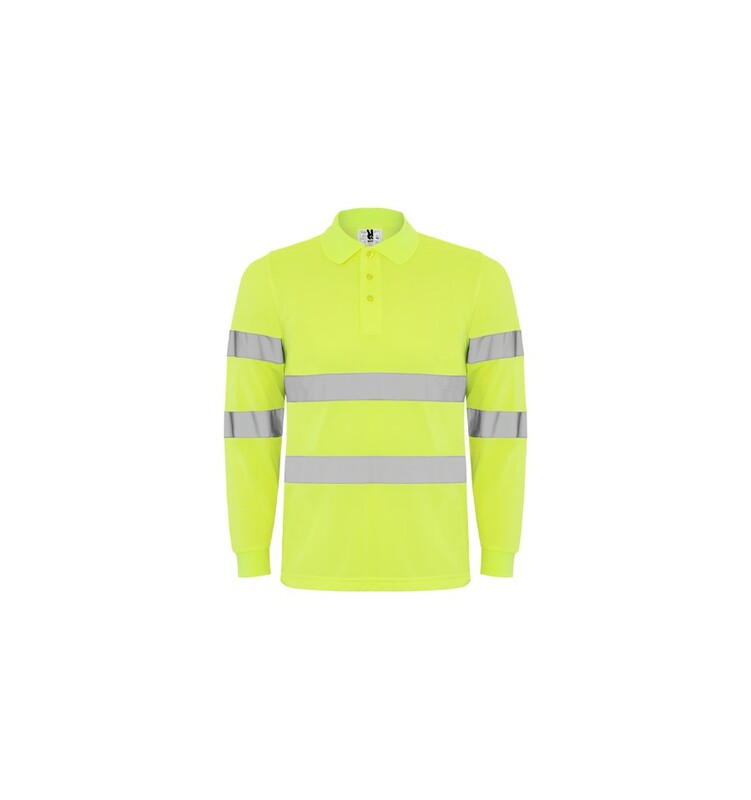 High visibility long sleeve polo shirt with three buttons placket. 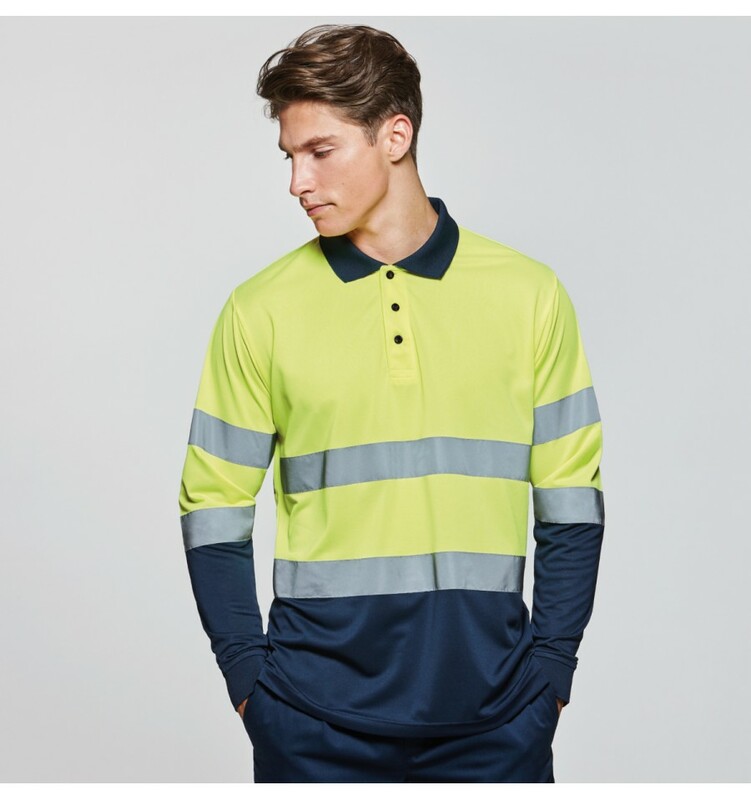 1x1 ribbed collar and cuffs. 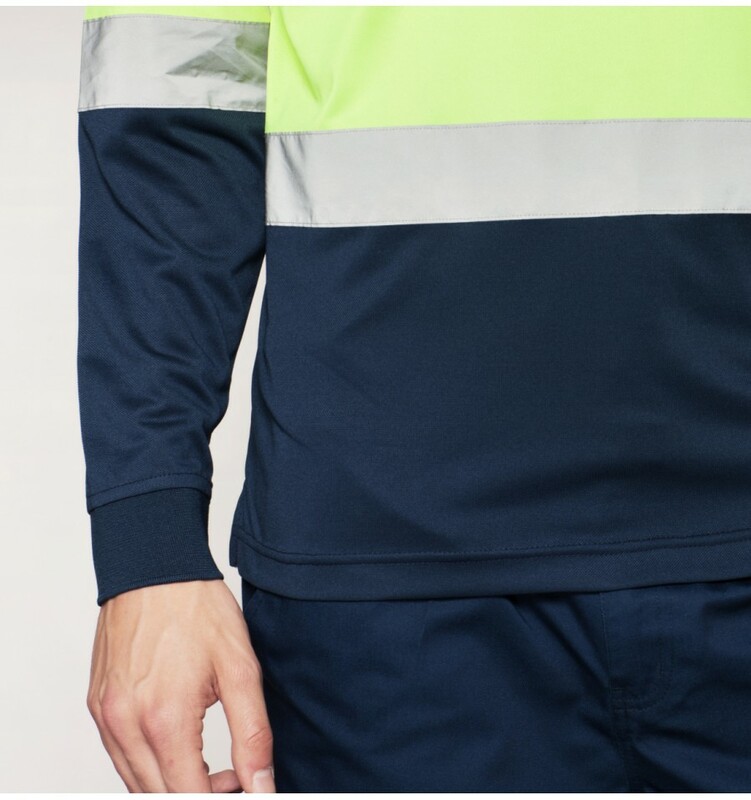 Two horizontal reflective bands in body and sleeves. Anti-scratch fabric.